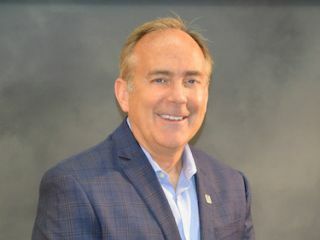 Kramer Electronics recently appointed a new CEO for its U.S. sales office, Steve Biegacki, which became effective May 1. Biegacki replaced Dave Bright, who announced his retirement in August of last year. Bright will stay on as acting chairman of the board until his actual retirement at the end of 2016. “I am thrilled to be joining Kramer at this exciting and pivotal moment in both the industry and the company,” said Biegacki. “The game is changing once again and Kramer is right on the edge both technologically and in its vision for the future leveraging the IT convergence of pro AV." Before joining Kramer, Biegacki served as senior vice president of global sales and marketing at Belden, a global leader in end-to-end signal transmission solutions for mission-critical network infrastructure in industrial, enterprise, and broadcast markets. During his eight-year tenure with the company, Biegacki contributed significantly to improving sales and marketing processes. His achievements included leading the creation of the Belden Market Delivery System and driving profitable revenue growth. Biegacki began his career at Rockwell Automation (formerly Allen-Bradley) in 1978. Throughout his nearly 30 years at Rockwell, he held various positions in sales and marketing management. As vice president of marketing, Biegacki led the globalization of Rockwell Automation's marketing function, provided leadership in defining targeted customer segments, and worked to align the product portfolio with customer needs. Biegacki holds a bachelor’s degree in electrical engineering technology from ETI Technical College in Cleveland, OH. “I am delighted to welcome Steve to Kramer US. He is a process- and results-oriented executive with a great depth of experience in meeting the needs of customers and partners and the leadership to drive breakthrough growth," said Ari Gorlin, worldwide vice president of sales at Kramer.